Eewa Engineering Company Pvt. Ltd. Is a leading manufacturer of Sealing Machines, Packaging Machine, Filling Machine, Plastics Welding Machine, Industrial Heating Oven, Industrial Electrical Heater, Custom Made Machines. Eewa has grown from manufacturing Impulse Heat Sealing Machinery to being a major corporate player and market in the manufacture of multifaceted range of products in Sealing Packaging Machineries. Our first and foremost priority is the soundness of the product. We firmly believe that “The product offered must give the customer, not only what he expects, but true value, besides being an engineering marvel.” Each and every component of our products is manufactured under strict supervision of our highly qualified, technically trained and experienced engineers. 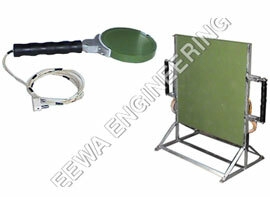 Our products reflect Eewa’s assurance of quality. State-of-the-art technology, latest machinery and continuous research and development are the key elements of our success. We offer a wide range of PE Gloves Making Machine to our valuable customers. 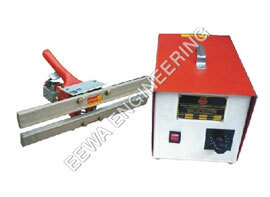 Tthe disposable hand gloves making machine range, EEWA also produces pneumatically powered Machine for high production. Roll Guide is provided on the back side of the Sealing Jaw for the insertion of film roll. This will enable the operator for easy movement of film on the sealing Die. 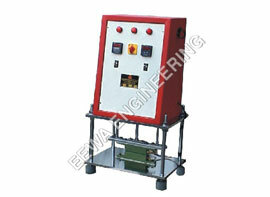 We are offering a wide range of Conveyorised Heat Sealing Machine For Vertical Mounted Bags. These Conveyorised Heat Sealing Machine For Vertical Mounted Bags are fabricated using high grade raw material and are known for high performance, efficiency, ease of use and durability. Available in standard specifications. Our Sealing Machine is highly acclaimed for its features of smooth operations, optimum performance, low maintenance and long service life. User can Use Any odd Shaped Film for Example Bicycle Packing, Export Worthy Packing with Vaccum etc. We make Heat Sealing Machinery up to 120 Inch Long Length. (3 MTR) Used for Jumbo Bag Liner Making, Container Liner, FIBC Liner, Materials can Be Used LDPE, PP, EVA, EVOH, Tri-Laminates, HM HDPE Etc. This is a small hand held equipment for joining two length of small diameter plastic pipe comprises two parts. We manufacturers best quality Mirror which are available from 4" dia to 20" Dia size. 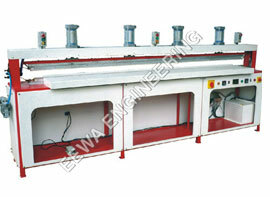 Machinery for blister packaging by eewa engineering as thermoforming machines, blister sealing machines, blister trimming machines and skin packaging machines for the use of cutting skin packed, blister packed, vacuum formed articles, cutting paper, cutting leather, cutting rubber and for cutting many other products. Heavy Duty of Flexible Packaging Machinery. Laboratory machine for analyzing thermoplastics material, laboratory machine for profile welding, laboratory machine for sheet welding, laboratory machine for sheet welding for the use of film manufacturers, packaging engineering department and other laboratories. Heavy Duty of Plastics Making Machinery. Shrink packaging machines include shrink wrapping machine, shrink tunnel, heat gun, bar sealer for the various applications like cosmetics, textiles, pesticides, computer industries, engineering, food, stationery and electrical products by Eewa Engineering Co. Pvt. Ltd.
1, Anant Estate, Opp. Comet Estate, Rakhial, Ahmedabad - 380 023 Gujarat (INDIA).